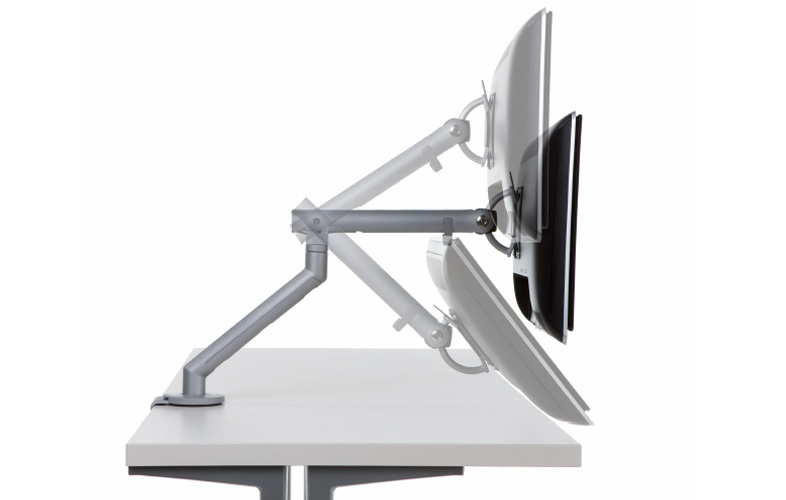 If you’re a hot-desker, this flexible monitor arms ensures your screen is in the perfect place for you to do your thing. Say goodbye to stiff necks. 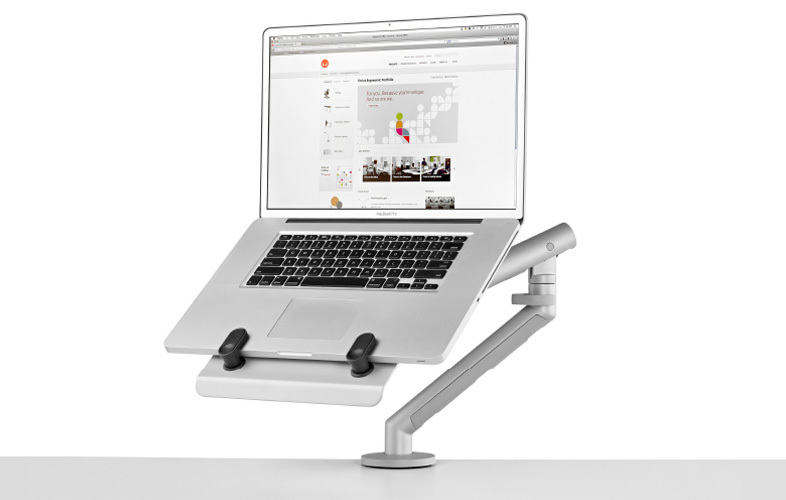 This manoeuvrable laptop stand elevates your screen, so it floats front and centre. 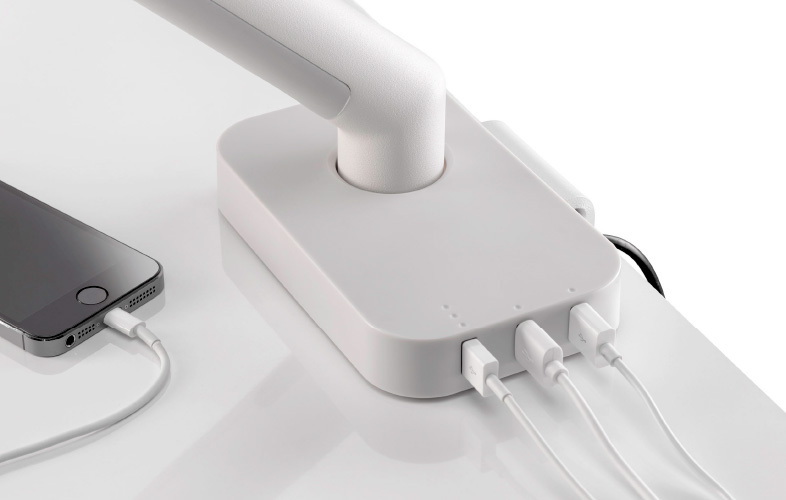 A touch dimmable LED desk light with the power to charge your portable devices. And it looks pretty lovely, too. 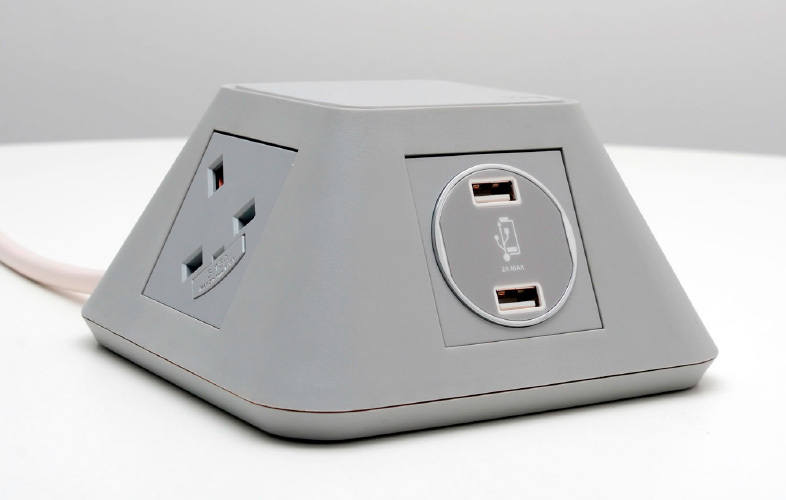 This sleek power hub provides stylish and cost-effective charging for up to three portable devices. 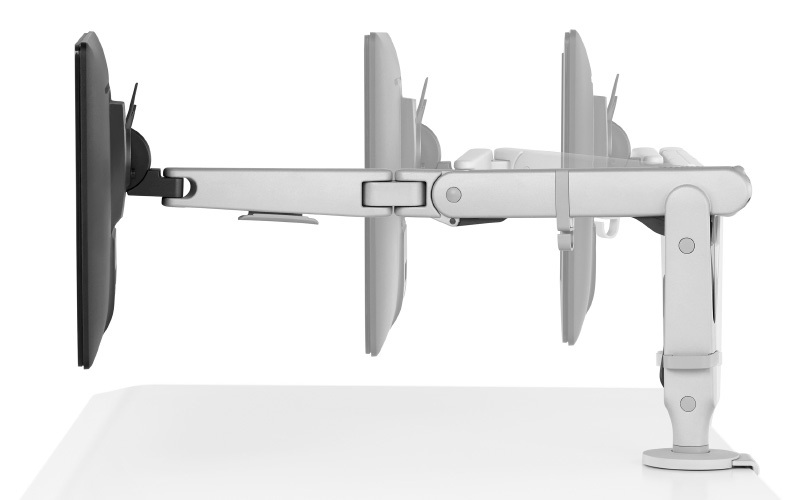 This award winning, dynamic monitor arm can uniquely support tablets, monitors and laptops up to a combined weight of 9kg. 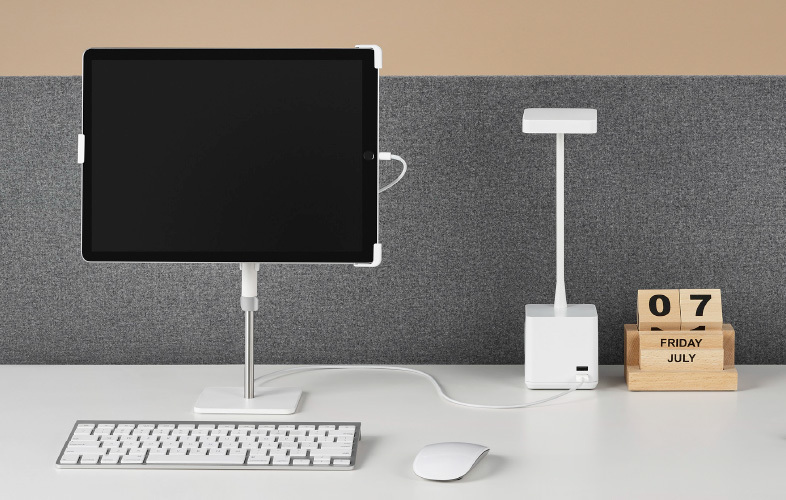 This understated, on-desk, twin-port USB charger comes in three colours and features thermal cut-out and short circuit protection. 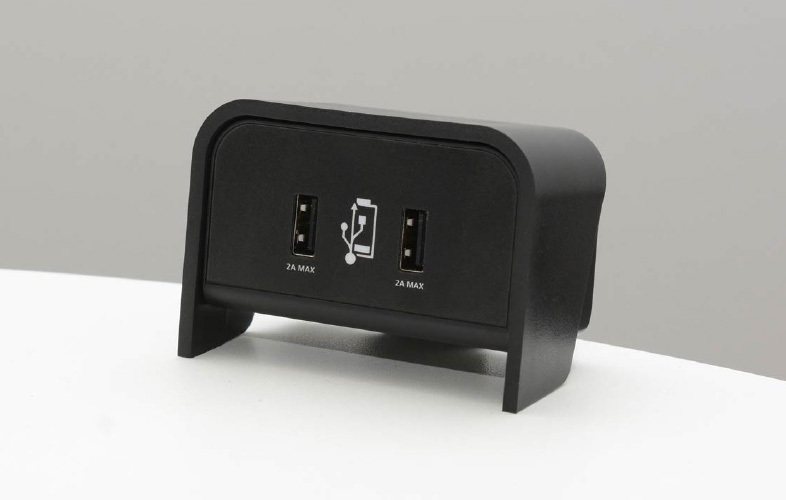 This striking, architecturally-inspired power source and charging dock offers USB, RJ45 and HDMI configurations. 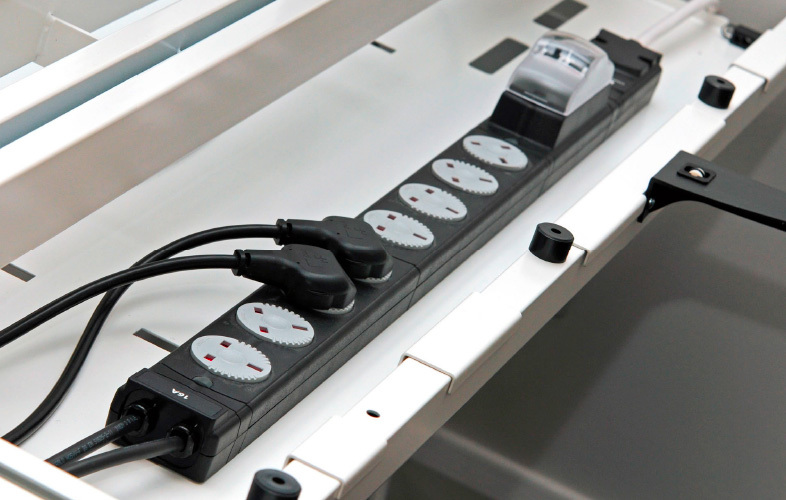 This easily customisable, modular power system offers fully rotatable sockets, in a choice of 16A and 32A versions. 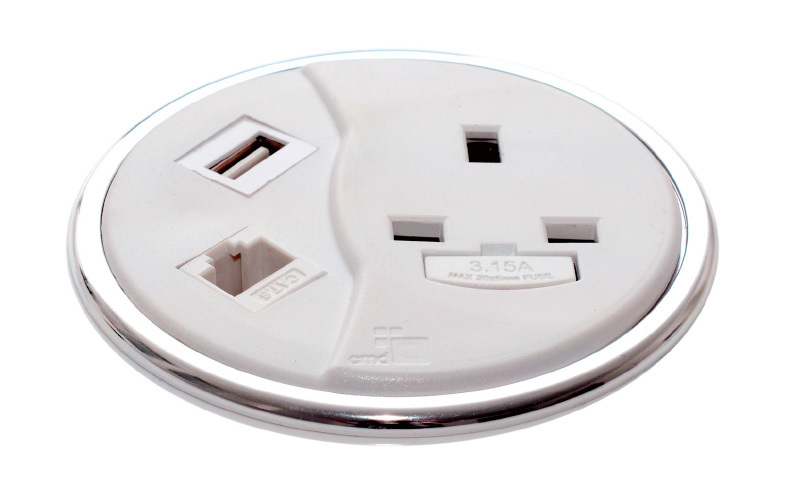 The Porthole comes in black, white and grey, with a silver trim and conveniently offers multiple power options. 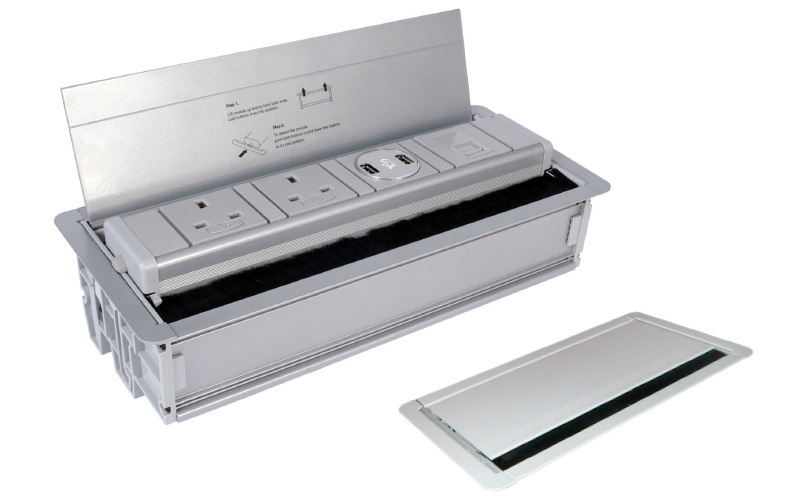 This stylish, silver Power Data Module comes with multiple configurations and, once you’re plugged in, retracts below the desk surface.